Welcome aboard Holiday Jollyday Tours! I am your tour guide, Yogi Bear. 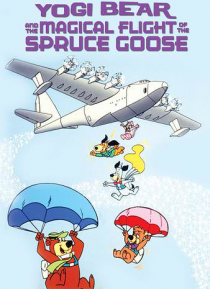 Join me and my pals Boo Boo, Snagglepuss, Augie Doggie, Huckleberry Hound and Quick Draw McGraw as we travel the globe on the Spruce Goose airplane. Along the way we will make a new friend named Bernice, a scrappy little girl who will help us on our mission to free a group of animals trapped by the Dread Baron. Invite your fam… ily and friends to take flight with me and my best pals on an adventure that soars above the rest!